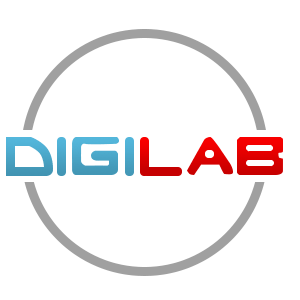 DigiLab Inc. is an Illinois-based technology company specializing in research and development in the data recovery, data migration, and digital forensics fields. Our employees carry 15+ years of in-field data recovery experience dealing with many types of data loss scenarios such as deletion, overwritten files, logical corruption, physical damage and others. We work with all types of media (stand-alone hard drives, SSDs, enterprise storage systems, RAIDs, flash media and tapes) and with all file systems in use today. We design and develop our own software tools and techniques to address data recovery problems. We are not affiliated with any software vendors or online retail companies mentioned in this report. DigiLab Inc. (IL) 2118 Plum Grove RD STE 320, Rolling Meadows, Il 60008 USA. The market for DIY (Do-It-Yourself) data recovery software has significantly changed in the last 15 years. The first few utilities had limited functionality and unintuitive user interfaces. Today, there are dozens of titles available that target both home users and professionals, offering a wide array of features, price models, and platforms. The plethora of choices in the data recovery software market presents a challenge to DIY users. Most users have little to no experience with data recovery utilities and don't begin their research until there is a data loss emergency at hand. While the free demo utilities offered by most vendors for evaluation are helpful, most users do not have the time or patience to test drive multiple titles before addressing their situation. If the lost data is critical for an upcoming work or school deadline, nobody wants to spend the day downloading and evaluating free demos one after another. This is the reason why most users turn to independent review and rating websites in order to narrow down their options. In a field where there are dozens of options, most users will only test out the top ranked utilities on such websites. This places a lot of trust in the judgment and impartiality of these review and rating websites. These websites introduce the top data recovery utilities to users who are new to the field. Likewise, data recovery professionals occasionally learn about new tools from websites like these. Although we at DigiLabs have come to favor the tools that have proven reliable and effective over the years in our own practice, it is in our best interest to evaluate new and groundbreaking data recovery technology as it becomes available. Just like DIY users, we don't have the luxury of time to test each and every product that comes on the market, so we too rely on trusted authorities in the tech community for exposure to new cutting edge products. One big difference when evaluating from a data recovery professional's perspective versus a home user's perspective is that price is less of an object. Professionals simply want the best tool available-if we can find an excellent product that is faster and better than the competitors, then it will easily pay for itself as we do business with it in our toolkit. Coincidently, we were approached this summer by R-Tools Technology Inc. (R-TT), a data recovery software company based in Ontario, Canada. Their product R-Studio was featured as #8 in the Data Recovery Software category on TopTenReviews.com.R-TT asked us to evaluate the top four products and compare their capabilities with R-Studio as they had a strong feeling that the rating distribution was not up-to-date. When our tests were finished in September, we found that R-Studio rank was changed to #5 in the charts but the top two products were the same. Stellar Phoenix, which was not in the top three when we began our tests, was moved up to #3. We had heard of R-Studio, as most data recovery professionals have. R-Studio has been on the market for over 15 years, and it is practically a household name in the industry. We were less familiar with some of the products that TopTenReviews had rated above R-Studio. So, naturally, we were interested. If there are tools available that can outperform R-Studio that we did not know about, it's in our best interest as working data recovery professionals to evaluate them and determine if they are a good fit for our business. As such, R-TT's request coincided with a good opportunity to investigate some potentially interesting new data recovery tools. The contenders were DataRescue PC3 from ProSoft Engineering, EasyRecovery Home 11.1.0.0 from Ontrack, RecoverMyFiles Professional 5.2 from GetData, Stellar Phoenix Windows Data Recovery Professional and R-Studio 7.7 from R-Tools Technology. The 17 tests we designed were based on our data recovery experience. We tried to simulate the most common scenarios we see daily in our practice. All those tests can be easily replicated. We also scored the user interface and general features separately from the data recovery performance. Compared to recoverability, usability is always a bit subjective. Thus, we evaluated the user interface based on what we expect a home user to experience when using the software for the first time. Each test or feature was rated on a 5-point scale, with 1 being the lowest possible score and 5 being the best possible score. In our final evaluation, we gave the data recoverability scores greater weight. This is based on what we know is most important to data recovery users: the amount of data recovered, the integrity of the files, and preservation of file properties (names, folder structure, original dates). Speed and other factors were also evaluated and considered when determining the overall rating. from ProSoft Engineering. The demo is available on the vendor's website. The demo allows users to scan and see what is recoverable, but actual recovery of the data is disabled. To get the full version, the user must purchase a key and then activate the software. The price on the vendor's website ((https://www.ProSofteng.com/)) is $99, but it is $29.95 from Herman Street (http:///www.hermanstreet.com), a third-party vendor. Notably, the Herman Street offer is advertised on the right-hand side of the review website. Links to the Herman Street storefront are also integrated into the content of the main landing page of the review, advertising the special discount and appearing with a TopTenReviews 2015 Gold Award badge. Due to the significant pricing advantage, we first purchased the software on HermanStreet.com. It was Friday afternoon. After purchasing, we were taken to a page with the download link and wording saying that the activation key would be emailed to us shortly. The activation key was not received until late Monday morning. From our experience, it's hard to imagine a customer keeping cool for two and half days while he or she is desperately in need of data recovery. Due to the long delay, we considered the shopping experience at Herman Street to be unacceptable. Knowing that it would be unfair to judge a piece of software based on the shopping experience on an affiliated online retailer, we decided to repeat the purchase through the web site of the vendor, ProSoft Engineering. The experience was very positive. Finding and purchasing the product was easy. The price was $99.00. Payment options included major credit cards, PayPal and "Pay with Amazon." We used a Visa credit card, and the transaction went through without any issues. We were shown the confirmation page immediately and, the email was received shortly after. All the necessary information for download, installation and activation was available within minutes. Very smooth process. from Kroll. The trial version is available on the vendor's website. We downloaded the version 11.1.0.0 trial. It allows users to scan and preview all recoverable files before purchasing. Information about installation and new features can be found, but not on the same page-there is a separate "free downloads" link. By default, the web site offers a download for $79.00 + CD backup copy for $9.90. Available payment options were Visa, MasterCard, AMEX, PayPal, wire transfer, check, and money order. The price shown is for a 1 year license. We paid $79.99 with Visa credit card and had no issues with payment. There is no button to save or print the confirmation page (which would be convenient) but there is a link to a PDF invoice. We received one email with all the necessary information to confirm the purchase and download, install, and activate the product. Very smooth transaction. from GetData. The demo version is available on the vendor's website. The limitations of the demo version are not clearly described on the website. The demo can be upgraded to one of the paid versions once an activation key/license is purchased. We paid $99.95 for the Pro version using Visa. Although we had no issues with the purchase, it's notable that RecoverMyFiles was the most expensive product. The activation code was displayed immediately on the web page and we received a single email with confirmation and codes just as promptly. Very pleasant and straightforward experience. from R-Tools Technology. Demo version is easy to find on the vendor's website. We obtained demo version 7.7 build 159562. All of the functions are available to evaluate in the demo version, but larger files cannot be recovered until the license is activated. The installation instructions link is found on the same web page as the download information. Downloading is fast and easy. Available payment options were Visa, MasterCard, AMEX, PayPal, formal quote or government PO, wire transfer, and check. We paid $79.99 with Visa with no issues. The payment confirmation page was displayed immediately and included the activation code. There was no button to save or print the confirmation page. We immediately received two emails: the order confirmation/invoice and the registration key to activate the license. Very pleasant and straightforward experience. from Stellar Information Technology Pvt Ltd. Stellar's website was easy to navigate, and we easily found the demo version which allows user to scan and preview recoverable files before purchasing a license. Downloading was fast and easy. Payment options included major credit and debit cards, PayPal, check, wire and PO for businesses. Payment can be made in several major currencies. The advertised price was $99 but when we proceeded with order, a promotional pop-up window gave us a $20 discount. The final price was $79. We paid with Visa credit card with no issues. The payment confirmation page stated that the actual activation code would be delivered within one hour via email. We were able to print the invoice right away. In one minute, we received the activation code. Very pleasant and straightforward experience. Communication Vendor website: Excellent - immediately received confirmation page and one email with purchase confirmation and download, installation and activation instructions. Herman Street: Waited for 2.5 days to receive activation Excellent - immediately received one email with purchase confirmation and download, installation and activation instructions. Excellent - immediately received one email confirming purchase and providing activation code. Excellent - immediately received one email confirming purchasing and providing activation code Excellent - immediately received activation code and two emails confirming purchase and providing activation code. Signing certificate has been expired since 2013; may cause installation issues, depending on PC's security settings. No multilingual support (English only). At the end of the installation process, the user is prompted to enter a serial code or run in demo mode. Once the serial code was entered, the software was immediately activated. The whole installation process took only a few seconds and the software was up and running and ready to perform recovery. Overall positive installation experience was very quick and easy, though lack of valid signing certificate may cause issues. Signing certificate is valid and not expired. Offers multilingual installation options. We chose English. Installation was very quick-it took only a few seconds and was very easy. At the end of an installation process, there is the option to run the demo mode or activate the software. The activation process was a bit cumbersome, but Ontrack provides detailed instructions. It involves pulling up the purchase confirmation email, going to the activation web page, entering the serial number from the email, providing your name, address, email and eventually getting an activation code and supplying it back to the running application. Once it's done, the software is activated and ready to use. After installation there is an option to check for updates from within the software. The overall installation experience was positive with some minor confusion during the activation process. Signing certificate has been expired since 2014. No multilingual support (English only). The installation application took several seconds to load before the first window appeared (significantly longer than others). No activation of any kind was offered during the installation. The whole installation process took only a few seconds and the software was up and running and ready to perform recovery. The activation dialog is opened from within the software. The actual activation is done either through the Internet or manually, but it still involves sending data to the vendor and receiving activation confirmation. We used the online method and it took about 20 seconds. During this time, the software seemed to hang and was unresponsive. This lag time is unpleasant and confusing, which might make users cancel the process before it has a chance to finish. Nevertheless, activation went through and eventually showed that the software was registered to our company; the software is definitely communicating with an activation database on the vendor site. Overall installation experience was positive. Aside from the seeming unresponsiveness during activation, the process was fairly quick and easy. Signing certificate is valid and not expired. Offers multilingual installation options. We chose English. The installation program took a few seconds to load but runs quickly and smoothly afterward. Notably, R-Studio displays a warning two times during the installation, which advises users not to install the software on the drive that is under recovery. This is a very important warning; however, we didn't see this safety feature in other programs. After installation, users can enter registration information, buy a license online or run the demo mode. We entered our activation code and the software was activated and up and running right away. The overall installation experience was very positive. The warning regarding the installation location is a nice touch, especially for do-it-yourself users. Signing certificate has been expired since 2014. No multilingual support (English only). By default, the application starts in demo mode. The registration dialog is launched from the About Stellar Phoenix screen. After entering your user name and activation code from the email received after purchase, the software is activated, up and running right away. Overall installation experience was positive, very quick and easy. Installation Signing certificate expired in 2013. No multilingual support. Quick installation. Signing certificate valid. Multilingual support. Quick installation. Several seconds of loading time for installation program. No multilingual support. Quick installation. Signing certificate expired in 2014. A few seconds loading time for installation program. Important safety warnings regarding installation location. Quick installation. Activation Easy and straightforward. Option to enter serial code or run demo. Option to activate or run demo. Multiple step activation process. No activation prompt; activation dialog within software (manual or online). Online activation seemed to hang for 20 seconds and application was unresponsive. Easy and straightforward Easy and straightforward. Options to enter existing code, purchase online, or run demo. The sizes of the files ranged from 5 bytes to 27 MB. All 135 files were placed in a folder, enumerated, and then the folder was duplicated (nested) several times as needed, with files renamed accordingly. For the tests requiring significantly larger files or numerous smaller files (e.g. 5.1.4 and 5.3.1), we used non-standard datasets and preparations described in the specific test sections. File system - Used to control how data is stored and retrieved. A file system separates data into individual pieces and assigns a name to each piece. Each group of data is called a file. The structure and logic rules used to manage the files are called a file system. FAT32 - File system developed by Microsoft, used nowadays mostly in flash media and some external drives. HFS+ - File system developed by Apple, the default choice for Mac OS X.
NTFS - File system developed by Microsoft, the default choice for modern Windows OS. ReFS - File system developed by Microsoft, used only in Windows Server OS. File system metadata - Set of metadata used to store file system parameters and all properties of the file system objects. Partition - A logical container that is usually used to house a file system that is the location where operating systems, applications, and data are installed. HDD - Hard disk drive. Rotating magnetic medium, still the most common data storage device. Flash media - Electronic non-volatile medium. Used in memory cards, thumb drives, and other portable devices. SSD - Solid state drive. Advanced flash media that emulates HDD interface. Slowly replacing HDD in laptops, tablets, etc. Full scan - Byte-by-byte data recovery software scan used to gather all possible metadata information on a drive or partition. Typically used when a quick scan is not sufficient or is impossible to run. A full scan is usually much slower than a quick scan, and may take hours, depending on the media size. Software vendors use different terminology for full scan modes. For example, in Data Rescue it is called "Deep Scan." R-Studio refers to it simply as "Scan." Ontrack EasyRecovery's full scan option is called "Search for deleted files." For RecoverMyFiles, it is "Scan for Lost files." Quick scan - A data recovery software mode that scans only the file system metadata. Usually very fast (minutes or seconds vs. hours), depending on the metadata size and number of files/folders. Data Rescue calls this "Quick Scan," while in R-Studio, a quick scan is performed with the command "Open Drive Files." RAW recovery - The results of a full scan when no file system metadata was found. It consists of the unnamed files "carved" from the raw disk space using the area between two consecutive known file headers found by the full scan. It's better than nothing, but there are lots of false-positives, corrupted files, and there are no filenames or folder structure recovered. RAID - Redundant array of independent disks. A set of drives combined together to provide redundancy, better performance, or both. 5.1.1 NTFS - recovering deleted files. Part 1 - emptied Recycle Bin. The goal of this test was to see how well the utilities can recover deleted files from an NTFS file system. We created one NTFS 5GB partition on a 5GB HDD. There we created a folder "A" and put the standard file set (135 files) into it, then we created a folder "B" inside the folder "A" and put the same file set (renamed) into the folder "B". All the content of the folder "A" was deleted to the Windows Recycle Bin and the Recycle Bin was emptied after that. We used a quick scan to open the drive content, which is the default method suggested for deleted files recovery by most of the utilities. Recovery results All files were found in the reconstructed Recycle Bin. Original file names and folder structures were not recovered. All files were found in the reconstructed Recycle Bin. Original file names and folder structures were not recovered. All files were found in the reconstructed Recycle Bin, no original file names, no folders structure. All utilities showed similar results: files were recovered, but the original file names and folder structure were lost. In this test, we evaluated how well the utilities can recover deleted files from an NTFS file system while bypassing the Recycle Bin. All the content of the folder "A" was deleted while bypassing the Windows Recycle Bin. We used quick scan to open the drive content. All utilities showed similar results: all files and folders structure were recovered completely. The purpose of this test was to check how well the utilities could recover deleted files from an NTFS file system with missing file system metadata. We created one NTFS file system 5GB partition on a 5GB HDD. 1. On that file system, we created several thousand dummy files (zero-filled, no data files). 2. We wrote 100 picture files from the file set. 3. We wrote 25 additional dummy files. 4. The first 10 picture files (with total size of ~50MB) were deleted, bypassing the Recycle Bin. We used full scan to open the drive content. Recovery results Recovered 8 out of 10 deleted pictures with no original file names Recovered 8 out of 10 deleted pictures with no original file names Recovered 8 out of 10 deleted pictures with no original file names. Correctly recovered 8 out of 10 deleted pictures with no original file names. Also recovered part of 9th picture but it was not openable. Recovered 8 out of 10 deleted pictures with no original file names. Notes Found deleted pictures were renamed using JPEG EXIF metadata. Found deleted pictures were renamed using JPEG EXIF metadata. R-Studio and Stellar were twice as fast as the other utilities. R-Studio and Stellar also have a very useful feature for renaming picture files with lost original names based on JPEG EXIF metadata. The goal of this test was to check how well the utilities can recover a large file deleted from an NTFS file system. We see this common scenario quite often in our practice, where files such as Outlook (PST) files, QuickBooks files, home videos, etc. are accidentally deleted. We created a 15GB NTFS partition on a 15GB HDD. On that file system, we wrote just one 7.5 GB file (filled with a special pattern so we can check its integrity later). Then we deleted the file, bypassing the Recycle Bin, and rebooted the test computer. All five utilities were able to see the deleted file record just after the quick scan, but the results were different. Quick scan Proper filename and folder location, but zero file size. File extraction was not possible. Proper filename and folder location, but zero file size. File extraction was not possible. Proper filename and folder location, but file size 40 MB only. File extraction produced the same 40MB from the file start. In our tests, none of the utilities were able to recover the file except for R-Studio. We investigated why. Apparently, when Windows 7 deletes a large file, it not only marks the metadata record as "deleted" (default behavior for regular files), but it also erases the data allocation information from it. Therefore, other utilities were unable to extract the file - there was no information left in the MFT (Master File Table, the most important metadata structure of NTFS) where the file sectors were located on the drive. R-Studio was able to obtain this information from sources other than the MFT. It's worth mentioning that the window of opportunity for such a recovery is limited; the best chances are right after the deletion, and they decrease significantly as more data is written to the file system in question. Therefore, it is advisable NOT to use the file system from which a file was deleted until the data recovery is finished. SD cards are very susceptible to data loss from accidental deletion or formatting and file system corruption. SD cards and other FAT32 file systems on flash-based media are common in professional digital cameras as well as consumer products, such as smartphones, GPS units, MP3 players, tablets, and laptops. As such, we perform data recovery for many customers who have experienced data loss from this type of media and file system. The goal for this specific test was to see how well the utilities can recover files deleted from a FAT32 partition on an SD card. To recreate the scenario, we used a brand new just out of the box WINGTEC Filemate UHS-I SDHC card 32 GB. It comes preformatted as a single FAT32 partition. Full Scan Scan time: 35 min. Two options were presented after the scan: "Identified partition with FAT32 file system" and "Found Files as raw scan/recovery results." Results for identified partition had all the files representing the initial dataset. File names had first symbol missing. The content of the files was correct. Raw scan results (Found Files) found 125 out of 135 files. File names were lost. DOCX and XSLX files in raw scan results were incorrectly identified as ZIP archives. Scan time: 27 min 25 sec. Found all 270 files but the folder's structure was broken - CatalogB folder name was not recovered and the parent-children relation was not maintained. File names had first symbol missing. Recovered files content was intact. 100% of files recovered but the folder's structure was lost. Scan time: 1 hour 6 min. Found thousands of lost files of various types despite the fact that SD card was confirmed to be blank before the dataset was placed on it - there were no such files on the media, therefore the results are confusing and misleading. Scan time: 24 min 45 sec. 100% of files recovered Scan time: 25 min 50 sec. Found two sets of files: one is identical to quick scan and the other is in raw format categorized by the file types. File count in both sets were a match. File names presented in raw scan results were replaced with artificial numeric values. Notes Does not recognize latest Microsoft Office files format. Folders structure was broken. Slowest full scan. Full scan recognition of lost files is poor. Fast and accurate results. Fastest and accurate results. We created a folder named "CatalogA" and copied the standard dataset (135 files) into the folder. Inside CatalogA, we created another folder CatalogB and copied the same files but with different names. Then all the files and folders inside CatalogA were deleted while bypassing the Recycle Bin. For each utility, we used quick scan and full scan. For the quick scan, R-Studio, Stellar Phoenix and RecoverMyFiles performed the best-they were able to recover all files and folders without performing a full scan. Quick scan failed for Data Rescue and EasyRecovery. Full scan yielded a successful recovery for all products but with different degrees of accuracy for lost file recognition. R-Studio and Stellar Phoenix demonstrated the fastest and most accurate results. It should be mentioned that full scan speed depends greatly on the settings. For all five products, we tried to use settings tailored specifically to the standard dataset and the file system to minimize unnecessary overhead. This test further evaluates the recovery capabilities for deleted files on a FAT32 file system on an SD card. For this test we, used a 1GB SanDisk miniSD card. It was erased and then formatted as a FAT32 file system with the default 4KB cluster size totaling 248,000 clusters. We copied 175 files of various sizes and types (pdf, xls, xlsx, doc, docx, jpg, mp4, txt) from our standard dataset to the root directory of the SD card. Then every other file was deleted using Windows 7 x64 Ultimate. We performed recovery and compared results for all five software products. Then, we deleted the remaining files and reran the recovery. Every other file deleted Quick scan found all the deleted files but restored them incorrectly; none of the files were openable by their native application. Full scan did not improve results; all restored files were unreadable. Raw scan found 165 files (10 files missing), mostly intact. DOCX and XLSX files were incorrectly identified as ZIP archives. All the file names were lost. Full scan found all the deleted files with the exception of the TXT files. All the original names were lost and replaced with automatically generated numeric values. The content was intact. TXT files were missing. All files deleted Quick scan found all the deleted files but restored them incorrectly; none of the files were openable by their native applications. Full scan yielded slightly better results; 23% of recovered files were intact. (Identical results as the previous test) Quick scan found 175 files but only corrected restored 27%. Full Scan found the same set of files Quick scan found all 175 deleted files. All of them were intact. Full scan produced extra found files matching the same 175 files. All were intact. R-Studio and Stellar Phoenix were the only tools that produced solid results. This test evaluates the data recovery performance on a re-formatted NTFS file system. The NTFS file system partition was re-formatted to a new NTFS file system partition using Windows Disk Management. Full Scan Scan time was 53 seconds Scan time was 65 seconds Scan time was 65 seconds Lost volume scan 53 seconds. Recovery results Identified partition: 51 files from the folder "B" with correct file names. RAW recovery produced 258 files (the results included the 51 files from the partition recovery but with no original file names). TXT files were not recovered at all. DOCX and XLSX files were incorrectly shown as ZIP files. Identified partition: 51 files from the folder "B" with correct file names. RAW recovery produced 257 files (the results included the 51 files from the partition recovery but with no original file names). RAW recovery produced 257 files (the results included 51 files from the partition recovery but with no original file names). TXT files were not recovered at all. In default(auto) mode, the utility was unable to find PDF and MP4 files, so we had to specifically search for these file extensions manually. Unfortunately even after that, the PDF files were recovered incorrectly, because the utility cut the PDF file sizes to a maximum of 1 MB. Some file names were recovered incorrectly("a LostFile" string was added to each recovered file, losing original file extension). MP4 files were recovered as MOV files but were still playable. Identified partition: 51 file from the folder "B" with correct file names. Raw recovery produced 406 files. DOCX and XLSX files were recovered as DOC and XLS but were good. No original DOC, XLS, PDF, TXT or MP4 files were recovered. Found deleted pictures were renamed using JPEG EXIF metadata. The utility found a lot of "ghost" files. RAW recovery produced 360 files (the results included 51 files from the partition recovery but with no original file names). All files were recovered. The utility also found some "ghost" files which most likely were parts of existing files. MP4 files were recovered as 3GP files but were still playable. R-Studio was almost twice as fast as the other three utilities. R-Studio is the only utility that was able to recover all files, including the TXT files. It also renamed JPEG files using EXIF metadata. EasyRecovery found fewer files but recovered all found files correctly. Data Rescue was unable to recover DOCX and XLSX files correctly which is a major issue. RecoverMyFiles had several issues that resulted in improperly recovered files; its recovery results were least acceptable. Stellar Phoenix showed the worst results. This test is based on the most typical data loss scenarios for SD cards: re-formatted media. We used a 32GB Patriot LX Series SDHC card with a FAT32 partition with pre-existing data on it. The dataset was prepared in the following way: CatalogA was created in the root folder, we copied 135 files of various type and size from our standard dataset into CatalogA, then created CatalogB inside CatalogA and copied 135 files into it, then created CatalogC in CatalogA, copied 135 into CatalogC and finally created CatalogD inside CatalogC and copied 135 files into it. The total data size is 540 files, 4 folders, totaling 2.74 GB of data. Then the SDHC card was re-formatted in Windows with the quick format option. We attempted recovery with each of the products. Quick Scan Quick scan failed to recognize the previous file system. Quick scan failed to recognize the previous file system. Quick scan failed to recognize the previous file system. Quick scan failed to recognize the previous file system. Quick scan failed to recognize the previous file system. Full Scan Scan time was 11 min 4 sec. CatalogA name was lost and replaced with "Found.3". The enclosed file and folder structure and file contents were recovered correctly. Scan time was 8 min 29 sec. CatalogA name was lost and replaced with "Cluster_3". The enclosed file and folder structure and file contents were recovered correctly. Scan time was 31 min 1 sec. CatalogA name was lost and replaced with "Recovered FAT Partition @ 16256". The enclosed file and folder structure and file contents were recovered correctly. Scan time was 36 min 58 sec. CatalogA name was lost and replaced with "00000003". The enclosed structure of the files and folders and files content were recovered correctly Scan time was 7 min 42 sec. R-Studio recovered all the files and the structure of the folders. All the original names were recovered, with the exception of the CatalogA folder - it was represented by automatically generated name $ROOT00001. All five products were able to find traces of the formatted partition and recreate original folder structure and file names with the exception of the top level folder name. All five maintained correct file names and file content restoration. R-Studio was the fastest. Stellar Phoenix and RecoverMyFiles were the slowest. This test evaluates how well the utilities can recover files from a deleted NTFS file system partition. The NTFS file system partition was deleted using Windows Disk Management. R-Studio was almost twice as fast as the other four utilities. This test evaluates how well the utilities can recover files from a damaged NTFS file system. Recovery results Recovered all files with correct names. Folder structure and folder names were not recovered. Recovered all files except the TXT files but with no original file names and no folder names or structure. The utility did not find any files. Scan for lost volumes produced nothing, so we had to move to Raw Scan. All pictures were recovered and renamed using JPEG EXIF metadata. The utility found a lot of "ghost" files. R-Studio had the fastest scan time and recovered all files and folders correctly. Data Rescue found the files, but not the folders. EasyRecovery did not restore any original file names or folder structure and did not find any TXT files. Stellar Phoenix recovered even fewer files correctly and all original file names were lost. RecoverMyFiles was faster than usual, but did not yield any results (we repeated the test several times but the result remained the same). This test evaluates the data recovery performance for data loss scenarios caused by missing MFT data on an NTFS volume. For this evaluation, we used a Samsung SSD 850 EVO 500GB. A small 5 GB NTFS partition was created on it. The root folder contained the CatalogA folder with 135 files from the standard dataset. The CatalogB folder was also placed inside CatalogA folder with another 135 files from the same dataset. In total, the partition contained two folders and 270 files. Then the $MFT and $MFTMirr metadata files were erased (filled with zeros) utilizing WinHex software. This type of damage represents one of the worst data loss scenarios for a NTFS file system and is quite common when dealing with physically damaged HDD and SSD drives. Raw scan produced 260 files of various types (vs. 270 in initial dataset). Files were categorized by type. All of them (except those that were incorrectly categorized) were openable in native applications. Raw scan found 268 files. Two XLSX files were missing and 10 files of x-toc files were incorrectly introduced into the results. TXT files were missing. Raw scan produced 467 files (vs. 270 in initial dataset) categorized by the type. All the files from the original dataset were recovered. Content was openable by their native applications. Initial file names were lost. All products had issues either with extra (junk) entries for the files or missing files. R-Studio managed to recover 100% of the files from the original dataset. EasyRecovery and RecoverMyFiles were only partial. Data Rescue would have had a high score if the Microsoft Office files had not been identified incorrectly. Stellar Phoenix failed this recovery scenario completely. Corruption of FAT32 volumes is another common data recovery scenario. Most often, the issue stems from damaged BOOT sectors and unreadable copies of the FAT table. To re-create this scenario for the test, we used a 32 GB Patriot LX Series SDHC card with a FAT32 partition on it. CatalogA was created in to the root of the disk. We copied 135 files from the standard dataset into CatalogA, then created CatalogB inside Catalog A and copied 135 files into it, then Created CatalogC in CatalogA, copied 135 into CatalogC, created CatalogD inside CatalogC and copied 135 files into it. Therefore, the media has catalogs and files structure consisting of three levels of depth. In total, the disk contained 540 files, 4 folders comprising 2.74 GB of data. Then, the FAT32 volume was artificially damaged in a way that simulates typical for real life situations: both copies of the BOOT sectors were erased as well as the first 10 sectors of each copy of the FAT. Full Scan Scan time 14 min 35 sec. Did not find or recognize file system. Presented results in Found Files (raw scan) form only. The tool recovered 520 files (vs. 540 in initial dataset). File names and folder structure were not recovered. XSLX and DOCX files were incorrectly recognized as ZIP archives. Scan time 20 min 36 sec. Found and recreated the entire folder and files structure. File content was intact. Scan time 43 min 1 sec. Found and recreated the entire folder and files structure. File content was intact. Search for lost volumes produced no results. Advanced to Raw recovery option. Raw scan lasted 32 min 10 sec, found 792 files and categorized them by type. Recovery (copy) speed is suboptimal - app. 210 KB/sec. It took 3 hours 35 min and 20 seconds to copy out 2.58 GB of found files. JPG files were recovered OK. DOCX, XLSX were recovered, but listed as DOC and XLS. PDF, MP4, and TXT files were not recovered. In addition there were a lot of junk files that never existed on the media. Scan time 12 min 34 sec. Recognized FAT32 partition and 540 files in it. Top level folder CatalogA was missing but all the content was moved one level up to the root - no missing files. 1 out of 540 files was damaged. All other files and folders were recovered correctly. 1 corrupted file. The fastest scan. EasyRecovery, RecoverMyFiles and R-Studio successfully recreated the original file system. R-Studio was the fastest but had 1 file damaged and one folder lost. RecoverMyFiles had the slowest scan speed. Data Rescue and Stellar Phoenix failed to recover the original file names and folder structure. This test evaluates how well the utilities can recover files from a damaged HFS+ file system. We created one HFS+ file system 5GB partition on a 5GB HDD using Mac OS X Mavericks. There we created a folder "A" and put the standard file set (135 files) into it, then we created a folder "B" inside the folder "A" and put the same file set (renamed) into the folder "B". Recovery results Recovered 265 files with no file names. Folder structure and folder names were not recovered Recovered 265 files with no file names. Folder structure and folder names were not recovered The utility did not find any files from the file set Scan for lost volumes produced nothing, so we had to move to a raw scan. Notes TXT files were not recovered at all. DOCX and XLSX files were incorrectly shown as ZIP files. The utility also found some "ghost" files which most likely were parts of existing files. TXT files were not recovered at all. The utility also found some "ghost" files which most likely were parts of existing files. DOCX and XLSX files were recovered as DOC and XLS but were good. No original DOC, XLS, PDF, TXT or MP4 files were recovered. All pictures were recovered and renamed using JPEG EXIF metadata. The utility found a lot of "ghost" files. Found pictures were renamed using JPEG EXIF metadata. None of the utilities was able to recover file names or folder structure, though we knew that the metadata describing files and folders was intact. R-Studio scanned faster than other utilities and recovered all files via RAW scan. RecoverMyFiles seemed to have an issue with its scan logic and failed to recover any files. This test evaluates the speed and performance for finding and extracting large file sets. This test emulates the data one can find in system folders on Windows, Mac OS X, Linux volumes, etc. We used a specially prepared file set consisting of one flat folder with 100,000 files in it, and another folder with the same files, but with a full subfolder structure (100,000 files in 62,000 folders). All files were small (less than 2 KB each) and taken from standard Windows 7 system folders (Windows and WinDDK). The total size of the data set was 180 MB (2x 90 MB) consisting of 200,000 files and 62,000 folders. The file system used as a source was healthy and mounted as a normal Windows volume, so we used quick scan to open the drive content. Quick Scan Scan time was 2 min 15 sec; unclear why scan took extra time. Scan time was less than 5 sec. Scan time was less than 5 sec. Scan time was 6 min 15 sec - very slow, shows tree-building progress Scan time was 30 sec; extra time was for scanning FS journal. Only R-Studio was able to extract the whole data set intact. It seemed strange to us that the other four utilities missed 15% of the files from the healthy file system. We re-tested this several times, but the results remained the same. This issue had a large impact on the scores - there should be no excuses here. In the speed test Stellar Phoenix has showed the worst results - up to 10 times slower than other competitors. R-Studio took extra time scanning, but notably, it was the only product that preserved the original dates for the files and folders. How fast a utility can scan media and find and restore missing objects is an important attribute, especially given the increasing size of media for both home and business use. The speed of the full scan factors largely in the overall recovery speed for the utility. For this test, we used a Samsung SSD 850 EVO 500GB formatted with a 500GB NTFS volume. The partition contained 3,804 files and 69 folders, totaling ~20 GB. We used an SSD in order to reduce the media reading speed bottleneck of the test hardware and to highlight the performance of the data processing algorithms of the utilities. We calculated the average scan speed based on the known size of the drive and the time it took to complete the scan. We also compared our calculated speeds to the results from Windows Performance Monitor. We expected that the Windows Performance Monitor data would match our calculated speeds, with only minor deviations. It was expected that the data processing algorithms would introduce some overhead on the full scan speed and our goal was to compare these overheads. To determine the overheads, we compared the calculated speed to the maximum sequential reading speed that we obtained on our test platform, which was 482 MB/sec. Surprisingly, 4 out of 5 of the products had significantly slower speeds, with some of the products performing 4.5 times slower than the max read speed. It's unlikely that the data processing algorithms could add this much overhead, thus we determined that the media accessing engine for these products is suboptimal. R-Studio was the unquestionable winner in this test. Stellar Phoenix and RecoverMyFiles were tied for a distant second place. This test evaluates the data recovery performance with RAIDs and Windows LDM (dynamic disks). A three-disk software RAID5 was created on Windows Server 2012, filled with the data from our standard test set, and then the disks were moved to our test rig with Windows 7. Healthy RAID5 No LDM support. No ability to manually adjust RAID parameters. The only option was to select the whole disks, but that produced a crash on a scan attempt (the test was repeated on several computers with the same result). No RAID support in Home version; available only for $499 in Enterprise version. We tried to create a RAID by selecting the whole disks, but then RAID autodetect didn't work. The default selection produced corrupted files, and RAW scan was not much better; this was because the RAID configuration was wrong, and we were unable to find a way to manually adjust it. Full LDM support. RAID was detected automatically, and NTFS volume was available for quick scan with 100% files recovered. RAID5 with one missing member No ability to add a missing member. See above Missing member was supported, but it didn't change the negative outcome RAID was detected automatically, and NTFS volume was available for quick scan with 100% files recovered. See above See above See above LDM information was still detected even after partition table removal - 100% recovery after quick scan. Manual RAID assembly with autodetect didn't produce a working configuration when one member was missing. Only R-Studio was able to handle RAIDs properly, but still did not have a working RAID autodetect mechanism with a missing RAID member. In our test scenario, we still got good results without autodetect, but non-LDM RAIDs would have caused issues - only a manual configuration would have worked. Note that we also checked the demo version of EasyRecovery Enterprise ($499), but the results were mixed. On one hand, it had decent RAID support with a working autodetect feature. On the other hand, it still had no LDM support, which meant that Windows LDM RAIDs were not recoverable, as a user had to manually enter the proper RAID start offset in sectors. Although most users would not be able to determine this, our data recovery specialists identified that it was 2014 sectors in our case (see the screenshot above). 5.3.4 ReFS - Windows Storage Spaces support. This test evaluates how well the utilities can handle Windows Storage Spaces (WSS) and ReFS file systems. Since the launch of Windows Server 2012, WSS has become increasingly popular and is expected to be even more widespread with Windows 10. We used 5GB HDD to create a WSS pool using Windows Server 2012. Then we cut a single 5GB ReFS volume from that pool and filled it with the data from our standard test set (4 folders, 2.7GB total in 540 files). Then the drive was connected to our Windows 7 test bench. WSS with ReFS No WSS partition detected. Full scan on the whole drive took 1 min 15 sec. RAW recovery recovered 672 files (~20% more than original data), but no filenames and no folder structure. TXT files were not recovered. DOCX and XLSX were recovered as ZIP files. Full scan on the whole drive took 1 min 25 sec. RAW recovery recovered 678 files (~20% more than original data), but no filenames and no folder structure. Full scan on the whole drive took 45 sec. RAW recovery scan took 3 min and produced 1183 files (some types never existed on the drive). RAW file extraction took 44 min for 3.5 GB of data. From all out data only DOCX, XLSX and JPG files were recovered properly (DOCX and XLSX as DOC and XLS). Both WSS and ReFS were detected and volume was opened with quick scan. Only R-Studio was able to detect WSS and recover ReFS volume. GUI style Wizard, most options are selected automatically by internal logic, easiest GUI for a home user. Wizard, many options for media type, file systems and scan type, a little bit complicated for a home user. Wizard, a few options to select, pretty straight forward, should be easy for a home user. Wizard, many options for scan, could be complicated for a home user. No window resize. Uncontrollable repositioning of main window No wizard, a lot of options to select. Technical-oriented GUI, confusing for a home user. Partition detection Shows only mounted partitions (with a drive letter). Shows all supported partitions. Doesn’t use Windows LDM metadata. Shows only mounted partitions (with a drive letter). Shows only mounted partitions (with a drive letter). Shows all partitions, even non-supported. Fully supports WSS and Windows LDM. Quick Scan Process monitoring No progress bar No progress bar No progress bar With a progress bar, but no elapsed time nor ETA. Cannot be paused, only canceled. With a progress bar. Full Scan Process monitoring With a progress bar, cannot be paused, can only be canceled. With a progress bar, can be paused and resumed With a progress bar, cannot be paused or canceled, but individual full scan steps can be skipped With a progress bar, but NO elapsed time nor ETA. Can be canceled. With a progress bar, can be stopped and resumed from the stopping point. Three-state tree with checkboxes. Impossible to select a group of files. Three-state tree with checkboxes. Possible to select and deselect a group of files. File Viewer Extracts a file before a preview. No warning message that the extraction might damage file system. Preview requires supporting program for a particular file extension (for example: an XLS file preview requires MS Excel or other program that supports open XLS files). Extracts a file before a preview. Shows a warning message that the extraction might damage file system. Preview requires supporting program for a particular file extension. Has a built-in viewer (no extraction needed) that shows a preview of a file once it is selected in a tree inside the utility. Does not support XLSX and MP4 file types. Has a built-in viewer (no extraction needed) that shows a preview of a file once it is selected in a tree inside the utility. Does not support MP4 file types. Uses MS Office API to show the preview (MS Office must be installed), because of that might crash the MS Office if another document is opened. Has a built-in viewer (no extraction needed) that shows a preview of a file if double-clicked. Does not support MP4 file type. Timestamps and dates recovery for folders and files Does not recover original files or folders dates, though they are listed in the extraction report. Last Access file dates are incorrectly restored as Modification file dates. Recovers original Creation, Modification and Last Access dates of recovered files but not folders Recovers original Creation, Modification and Last Access dates of recovered files but not folders Recovers original Creation and Modification dates of recovered files but not folders. Incorrectly sets Last Access dates. Search for file/folder in recovered results Available for file names only (with wildcards) and/or modification date range. No "found" list - just Next/Prev command. Available only for file/folder names, no wildcards supported. Results are presented in a separate section as a flat list (without folder structure). Not available Available only for file/folder names, with * wildcard supported. No "found" list - just Next command. Search field is resetting every time, so no editing is possible. Powerful search features, including name (wildcards), type, status, size, dates. Filtering recovered results Not available. Possible to select files using a mask - name with wildcards. Not available Only available for particular folder via column filters - filename, path, size, dates. Recovered results tree also has 4 modes for grouping - original folder structure, file types, date, deleted only. Powerful filtering features, including name (* wildcard), status, size, dates. Filtered results preserves the full folder structure. Recovered results tree also has an additional mode for grouping - file types. Powerful filtering features, including name (wildcards), type, status, size, dates. Recovered results tree also has 5 modes for grouping - original folder structure, file types, and 3 dates. File types for RAW recovery Unknown list. From RAW scans we can guess that there are ~ 50 file types are supported. No option to add user-defined types. From our tests we know that modern MS Office files are not supported correctly (docx/xlsx/pptx are detected as zip). 250 file types, might be chosen individually or by a category. No option to add user-defined types. A few hundred file types, might be chosen individually or by a category. 180 file types, might be chosen individually. Ability to add user-defined types. At the same time RAW recovery has shown very poor results - wrong file type detection, cut files, etc. The totals for all the test score are shown below. Our research clearly indicates that R-Studio was the undisputed winner in both categories: recovery capabilities and user experience. R-Studio not only recovered more data with greater file integrity, but it did so faster than the others. The gap in performance was huge, and other competitors need to make significant improvements in order to catch up. The only significant disadvantage we found was R-Studio's user interface. R-Studio is clearly designed for data recovery specialists and the interface can be confusing for inexperienced users. We think that the best solution would be to offer a "wizard"-style option for home users while keeping the current interface as an alternative. Second place was awarded to EasyRecovery, with RecoverMyFiles and Stellar Phoenix trailing slightly behind. All four programs had their bright spots, but overall the data recovery performance was below average, leaving too much data unrecovered or partially restored. This is the major factor for data recovery software, and all four competitors ultimately failed to deliver.